Animated video has become very popular online. It is a very good tool that your company should consider. One thing to note about animated videos is that they should never be a substitute for using real people in your videos. Using real people in your video gives the viewer someone to connect with. People will often tell me that they don’t want to be on camera; which I understand, but a good video production company knows how to make even the worst person on camera look good. This style provides the most flexibility and appeals to the widest audience. It is similar to traditional cartoons, like the Peanuts cartoons. The style can vary and is often more computer graphics oriented. It is often times like an infographic that moves. They are also sometimes called motion graphic videos. 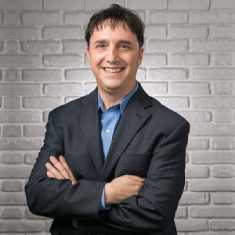 Neal Schaffer, the founder of this website and social media extraordinaire, recently created an animated video for his latest book book Maximize Your Social. Neal is a very good public speaker and we debated if he should be in the video to promote his personal brand but there is so much good information in his book to help marketers that it was decided to let the book speak for itself through a 98 second book trailer. This type of video is when you take real elements and move them around the screen, whether they be paper, like this video from Thesis International, or other medium. Stop motion videos have a very warm, lifelike quality to them. These videos take a lot of work because after you physically create the elements, you now have to take a photo of every move that the elements need to make. Keep in mind that some audiences may see stop motion videos as childish. Something about this style of animated video is that it is very compelling and it is very simple. In the fact, all it is is someone drawing an image on screen. Like other animated styles, it takes planning and someone who can draw under pressure. The down side to these types of videos is that they tend to work better with a target audience over the age of 25. Executive think tank Executive Next Practices used a whitebaord video to explain the idea of next practices. Most people are shocked that animation done properly costs as much as it does. This is because there is a process that must be followed to create an animated video. A script must be created and there must be a storyboard. All of this takes time and it requires people who know how to tell a story. Each element in an animated video has to be created in the computer or on paper and this also takes time. Once you have the graphic, that graphic then has to be animated. Following that, sound design needs to be added. While all these things can be done by one person, the end product is usually better if a team of people who specialize in each area work on your project. Once you have your video, you have great content that you can share across your company’s website and social media. The details regarding the explainer videos is to the point and was very helpful. I myself and trying to work in this particular field and i am really interested to know more about it. 2D Animation, stopmotion, & Whiteboard videos are the most popular way to promotion. different different types of videos are available in visual art.. and this are very helpful thing for everyone.